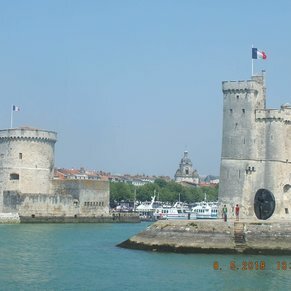 La Rochelle became one of the great maritime cities of France in the fourteenth and fifteenth century. 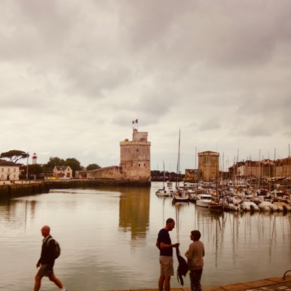 La Rochelle is a most interesting place, well worthy of a visit. 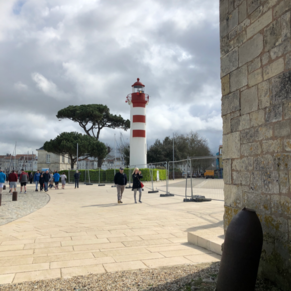 The Quay of the little port, guarded at the entrance by two noble towers, the Tour Saint Nicolas and the Tour de la Chaine. The grey and yellow walls of these ancient fortresses, the bright green of the water, the old arcaded houses surrounding it, make a most picturesque scene. Lovely town and marina unfortunately alot of road works that meant it was difficult to get around with a wheel chair or mobility scooter. Even so we enjoyed our time here. Coach from the dock to town centre was strange and uncomfortable more suited for airport shuttle. Pretty little port, inside the old town walls , lots of pretty shops, the harbour is bustling. Need to take a ride by horse drawn cart to experience the narrow streets . 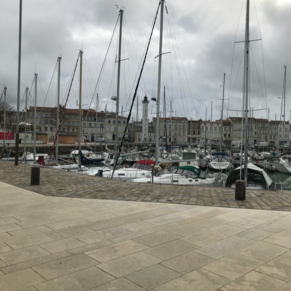 There are currently 0 discussions about La Rochelle, France.